How is your daily cup of coffee affecting your hair? Many new hair products on the market claim to use caffeine to stimulate hair growth and treat hair loss. But do they actually work? Keep reading to learn more about the connection between caffeine and hair growth. 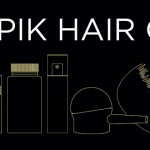 Plus, we’ll tell you how to use Toppik Hair Building Fibers to make your hair look thicker instantly. 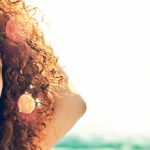 Does Caffeine Help Hair Growth? Caffeine is a natural chemical stimulant commonly found in tea, coffee, sodas, energy drinks and chocolate. Caffeine can definitely give you more energy, but does it help your hair grow? A 2007 study in Germany, published in the International Journal of Dermatology, revealed that caffeine really can encourage hair growth. In the study, researchers took scalp biopsies from 14 men with varying stages of male pattern hair loss. Each scalp biopsy was exposed to different concentrations of testosterone and/or caffeine for varying periods of time. After the assigned time period, researchers examined the hair shaft to see if the follicle had grown new hair. As it turns out, the longer the follicle was exposed to caffeine, the more the hair grew. How Does Caffeine Hair Growth Work? Researchers believe that caffeine may work to grow hair by acting as a DHT blocker and increasing the anagen (growth) phase of the hair cycle. Androgenetic hair loss is caused by a little hormone called DHT, which is a by-product of the male hormone testosterone. Though testosterone is technically a male hormone, both males and females have testosterone in their bodies. DHT causes hair follicles on the head to shrink. 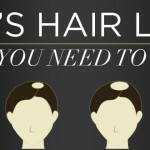 Eventually, the hair follicles stop producing hair, resulting in hair loss. Men and women with androgenetic hair loss have hair follicles that are more sensitive to DHT. By acting as a DHT blocker, caffeine may be able to treat hair loss. Do Caffeine Shampoos Actually Treat Hair Loss? So how do you get caffeine to your hair follicles? Another 2007 study in Germany, published in the journal Skin Pharmacology and Physiology, suggests that caffeine can penetrate the hair follicles through topical application. In the study, researchers discovered that leaving a caffeine solution the scalp for just two minutes could result in caffeine entering the hair follicles. More research is required to learn how caffeine can best be delivered to hair follicles in order to stimulate hair growth. At this point, it’s best to be skeptical of caffeine shampoos and other products that claim to encourage caffeine hair growth. If you do want to try caffeine shampoo, you can make your own at home with this easy method. All you need is 3 ounces of whole roasted coffee beans, 3 cups of coconut oil and a slow cooker. Add the coffee beans and coconut oil to a slow cooker. Cover and cook for 5 to 6 hours on low heat. As the mixture heats, check on it frequently and stir every 30 minutes. Once the mixture has cooked, use a paper coffee filter to strain the beans from the mixture. Pour the caffeinated oil into a clean container. 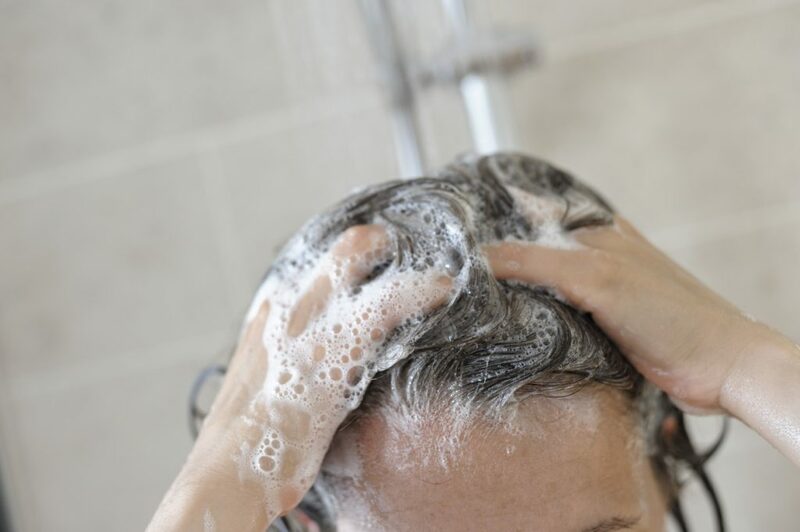 To wash your hair with your DIY caffeine shampoo, apply the mixture to your scalp and let sit for 5 to 10 minutes. Then wash out with Toppik Hair Building Shampoo. Finish washing your hair by moisturizing with Toppik Hair Building Conditioner. Remember, there’s no guarantee that drinking coffee or using a caffeine shampoo will encourage hair growth or cure hair loss. We mentioned just two studies here with clinical results produced in a laboratory to support caffeine hair growth. 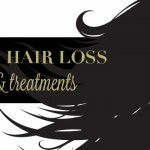 While there is certainly hope that caffeine could be used to treat hair loss in the future, there is no guarantee that caffeine can cure hair loss. So if you’re worried about thinning hair, ask your dermatologist what treatment options are available to you. Even if you’re skeptical about caffeine for hair growth, you can always conceal hair loss by styling your hair with Toppik Hair Building Fibers. Toppik Fibers use colored keratin protein to blend undetectably with your existing hair, making it look naturally thicker and fuller. While they’re not a treatment for hair loss, they will fill in thinning areas and give you instantly thicker hair to restore your confidence. Have you ever tried caffeine shampoo? What were your results? Let us know in the comments!